Welcome To Bonnes Amies! : Mrs. Meyers is Summer Cleaning! Make cleaning fun and cheerful at your home and in your kitchen! Mrs. Meyers uplifting scents always make me happy and the new summer scents in are so cheerful! 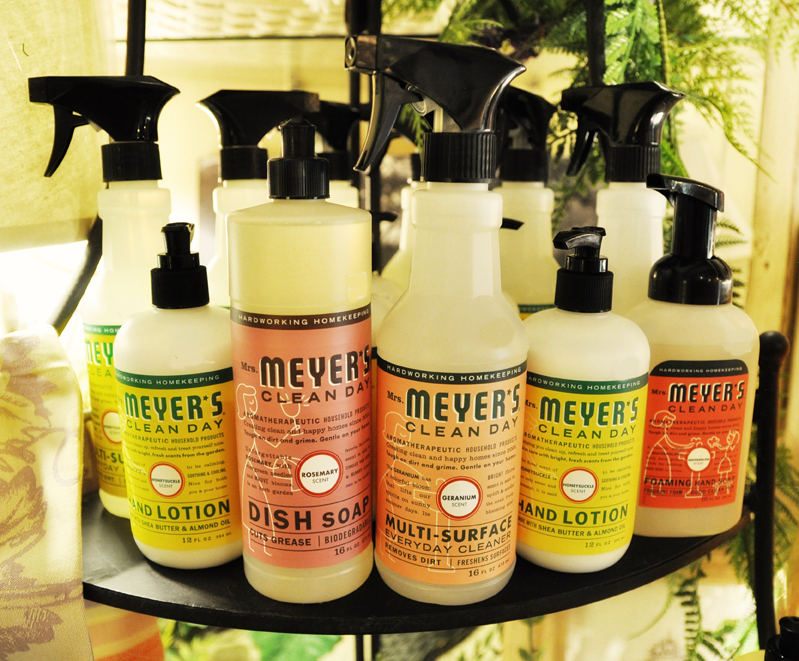 Geranium, Rosemary, and Honeysuckle counter sprays, hand washes, and hand lotions are perfect to keep at your kitchen sink!